Free Medical, Technical and Scientific Writing Courseware from MIT Writing Assistance, Inc.
MIT’s OpenCourseWare is an online catalog of course materials designed to help those who may never get a chance to enroll at school of MIT’s caliber. With free access to past class materials, students (and those who wish to become students again) gain access to past class syllabi, lectures, and more. Technical communication in the medical and public health field is in high demand today, and in the Spring of 2007, MIT offered an undergraduate course for those who wanted to learn more – Introduction to Technical Communication: Perspectives on Medicine and Public Health. The courseware from that class is available for free through the MIT OpenCourseWare program (some textbooks require a purchase). This introductory writing course offers interested parties the opportunity to work through assignments that are based on personal experience, and then move into topics that are more formal – just as the medical tech writing field requires. By working through these assignments, projects and suggested readings, those new to the technical writing field can gain experience in taking difficult topics and turning them into documents that can be used by a variety of medical and clinical audiences. Such work could also conceivably be used as writing samples in a student’s portfolio. Sample student work is also available for review, allowing you the chance to see what other students have done and how writing differs, depending on its intention. Another course of possible interest to technical writers is Science Writing and New Media, which was offered in the Fall of 2010. 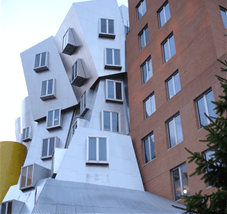 MIT OpenCourseWare is a free publication of MIT course materials that reflects almost all the undergraduate and graduate subjects taught at MIT. There is no registration or enrollment process, you won’t earn credits for your work and you won’t have access to MIT faculty. But access to free course materials from a well-respected educational institution like MIT? It doesn’t sound like something you can pass up. And, of course, MIT welcomes donations, should you feel so inclined. Select a course, then click View Course in the pop-up window, then click the Download Course Materials button on the left. Please is there scientific and medical writing course available in PDF for example? Our suggestion is to do the course online and create PDFs of whatever you want to save. I want to know is attending workshop, oral presentation mandatory for the online course. What if, I am not able to…any other alternative. Thanks! We suggest you check with the course provide for answers to your questions. Is this free MIT opportunity still available? Answered on your next comment. 1. Do the MIT free courses teach or recommend the latest in industry technology. I look forward to your response, and many thanks in advance. Not really sure, Audrey. This is a very old post. The URL is no longer valid, but it looks like you can still download the course materials for free at: http://mit.espe.edu.ec/courses/writing-and-humanistic-studies/21w-732-1-introduction-to-technical-communication-perspectives-on-medicine-and-public-health-spring-2007/download-course-materials/. As far as breaking into the field, you might find this helpful: https://biotechinkspots.com/mw-career-issues/in-a-nutshell-how-to-get-into-medical-writing/. Good luck! Hello, i am Ayurveda doctor & interested in in this course. Kindly guide me. Read through the previous comments for guidance. Do we get any certificate after completion of this course? MIT would be the best to answer that question.